For the city folk, the day-to-day ounces of effort which convert into pounds of sustenance are hardly felt unlike at the basest level of civilization. Rams pleasantly and eloquently remind the audience of what it takes to keep the business of civilization running, even if it is not the main premise of the film. We see, in other words, through the drama of agriculture, the capabilities of one man in supporting himself against the harsh wilderness. And this wilderness is poetically captured in the harshest corner of the world: of Iceland, the realm of ice and fire. It is an extraordinary reminder how sensitive man is to the oscillations of the wild, toward disrupting his happiness. 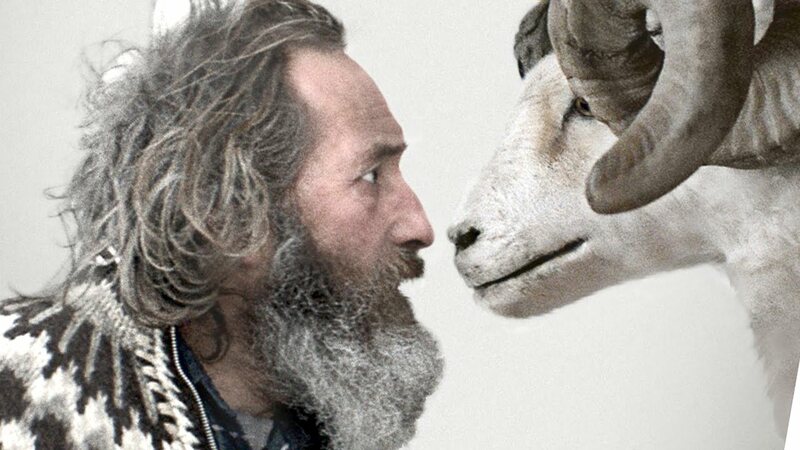 What begins in the film as a playful domestication of the wild, of this community of herders competing for the best-bred ram, soon turns sour and desperate as their efforts at living become turned upside down because the cruelty of fate noxiously imprints itself on their valuable property – their livestock. They have no other means of sustenance but the raising and selling of their rams. Recurrently in history, even biblically, there is the caution of putting all of one’s eggs into one basket; because one becomes subjected to the torment of survival in the blink of an eye. And yet, is such an existence crude? The fact in a more cosmopolitan manner an individual can be more hedged against risk, against the misfortunes that arise from uncertainty, because he is so abjectly sheltered from the continual storms of life he is displaced, or alienated, from the rawness of living. I’ve mentioned this in my critique of Winter’s Bone and its own portrayal of an authenticity to life. We see this emulated and resonated in Rams very profoundly, even if it is again but a backdrop to the central story of two brothers who are forced by nature to get along. And what majesty civilization is then. That, when struggling to overcome the winds of chaos, humanity must join together to steer the sailboat. They must set aside their differences and act as harmoniously as can be for each to survive and profit optimally. This is the precious jewelry of living an authentic form; of living outside of the Spenglerian megalopolitan symbols which distort and pervert the significance of being human, and further, perverting the significance of being alive: the appreciation of human life is amplified when it is so delicate to be maintained. And the enmity of human forms which are in disagreement to one’s beliefs become embarrassingly superfluous once it is identified that it is a decadent luxury of the civilizing power which adamantly increases the distance the average soul is from the tragedy these two Ram ranchers had to endure. Crisis, in other words, ought to disintegrate the pettiness of living, to reveal what makes it sacred. And what is that sacredness, that even a contemporary European filmmaker cannot help but reminiscently answer, drawing from his ancestor’s glorious cultural mark on human history? Love.